Thomas E. Snowden (1951-2017) has spent 8 years active duty in the U.S. Navy. 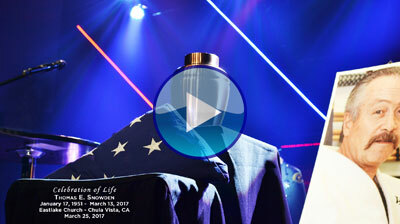 He was assigned as an independent duty medical corpsman from 1969 to 1977. He has spent 30 years in the law enforcement community as a sworn peace officer, most of which was spent on the San Diego County Sheriff’s Department and ending up on the San Diego County District Attorney’s Office as a Senior Investigator. Tom’s career assignments include; Corrections, Courts, Patrol, S.W.A.T., Prisoner and High Risk Property Transport, V.I.P. Protection, Investigations and Undercover Operations (Narcotics & Vice), and Training as a Basic Academy Training Officer and an In-Service Advanced Officer Trainer. He holds a lifetime community college teaching credential from the State of California. Tom has been involved in study and teaching at an international level and awarded a master’s teaching degree in the art of China Hand from Taiwan, Republic of China. Tom has been a supervisor, team leader, and instructor in many of these areas. He is instructor certified in Defensive Tactics/Arrest & Control, Use of Force, Chemical Agents, Firearms, and many other areas of Law Enforcement Procedure/Tactics. Tom has been on several state workshops and committees to formulate guidelines regarding Peace Officer Standards and Training (P.O.S.T.). Tom has held the position of Core or Chief Instructor for the San Diego Regional Law Enforcement Academy in the subject matter of Defensive Tactics/Arrest & Control (8 years). As a Consultant/Expert Witness in well over 20 cases, Tom’s testimony has provided the determining or winning factor for the entity he has been hired to represent. Some of his involvement included extensive medical and scientific research in the area of in-custody deaths. This is to date, particularly in the subject of maximum restraint (police hog-tie technique), and the effects of OC Pepper Spray on the respiratory system while in maximum restraint. Tom and his colleagues involved in these studies are published in at least two medical journals. Additionally, Tom’s knowledge of how techniques are applied and their effect is solidified by his 50 years of study, practice and teaching Martial Arts. He is certified at the instructor level (4th degree black belt or above) in several different categories of Martial Arts. 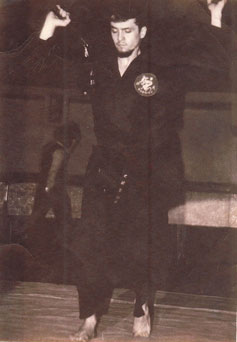 These include Aikido, Jujutsu, Judo, Karate (2 styles), Taihojutsu (art of body restraint police technique), and Weapon Arts. He is the Chief Instructor owner and operator of the Martial Arts school known as Aibukan Dojo USA founded by Snowden Sensei in 1988. Snowden Sensei’s Martial Arts certification levels equate to a master instructor level, or a teacher of teachers. For specifics, please review the list below. 30 years in Law Enforcement in San Diego County, including the San Diego County Sheriff’s Department and the San Diego County District Attorney’s Office. Assignments included Detentions, Courts, Patrol, Investigations, SWAT, and Training. Served as the Chief Instructor and Expert Witness on Defensive Tactics, Arrest & Control, and as the Core Instructor for Use of Force at the Regional law Enforcement Academy. Assigned to the D.A.’s Office Special Operations Division, Professional Standards Unit. 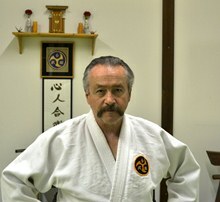 Now retired from law Enforcement and presently Owner and Chief Instructor of Aibukan Dojo USA.